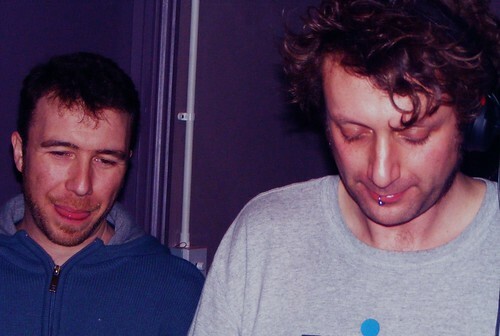 Recently I interviewed Appleblim for the Dubstep Allstars 6 CD sleevenotes. Now the CD has dropped, here’s our conversations in full. Blackdown: So can you tell me a bit about your musical background? B: How had she heard you DJ? B: But didn’t you play at the Skull Disco parties in Stoke Newington? B: Despite all the stress, it must have been fun playing FWD>> though? B: Yeah it’s my favourite room too, that space between the pillar and the decks. A: “Yeah I remember and was really proud of that because before I’d felt that I’d either tried to fit too many or the wrong style into my sets. But I made a conscious decision, and Sarah [from Ammunition/FWD>>/Tempa] had told me this too, to stick to my guns. Sarah had said that’s why she’d asked me to play there. Not that it’s ‘don’t play to the crowd’ but you’re here because you have a certain selection and taste. And I was like, yeah I should just keep drawing for the things I like listening to, because if you lose a bit of the floor, gradually you’ll get it back again." B: Do you think you need to be stubborn as a DJ? B: So is this CD ‘about’ your sets at FWD>>? B: So tell me how things have evolved with Shackleton? You were first best known together with Skull Disco but now have both developed unique but different styles. B: While his music is quite technical to mix, you both share a love of bass and percussion: is there no way you could try to find room in your sets? B: I like the idea of you taking Bristol dubstep and Berlin dubby techno and exploring the space between the two and finding something that’s neither. 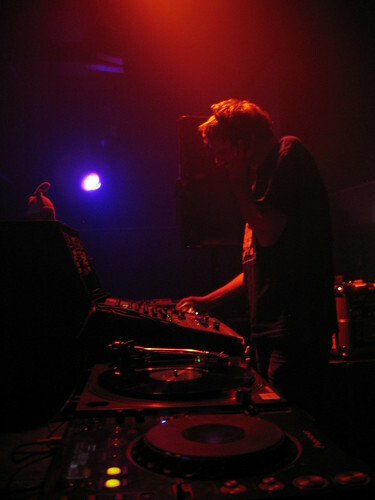 B: The mix nails the state of the dubby techno/dubstep sound really well. But I have two concerns with this interesting direction. One is that it will just become 140 bpm techno, with little elements left from the dubstep side of things, like an edge or bass or swing or odd rhythms. Also it's a fine line between having a little dubbed out breathing space and totally clean formless e-lead headspace, where you move from the London/Jamaican-influenced dub to empty anodyne techy headspace. The edge, the rudeness of the bass could get lost. Do you think either of these concerns are valid? B: How did you go about approaching the mix, in terms of how you wanted the direction of it to go? B: The mix is hung on two real emotional peaks for me, sticking out almost like the pillars of a suspension bridge: early on with Pinch’s “Get Up” and later Martyn’s “Broken Hearts remix”. How did you go about ordering the tracks? great interview and very interesting read, big up mr blim - a true gent! seconded. great interview & a fantastic mix. on point as always, mr clark, with your concerns about where this dubstep/techno sound can go. as for the name, i remember reading something about him eating an apple & spitting some of someone (the giver of the name) as he was talking...can't remember much details or where i read that though.